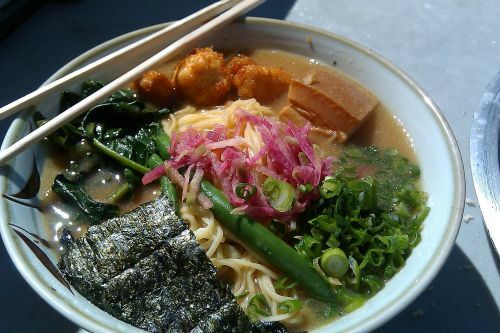 This dish opened my eyes not only to how delicious real ramen is, but also to how thoughtful and complex it can be. Hapa Ramen’s Big Daddy Bowl goes beyond flavorful broth and perfectly-cooked noodles – it brings in a variety of ingredients that add subtle nuances, richness, and seasonality. Of all of the dishes on this list, this is the one that I have gone back to eat the most. There’s just something about the combination of the warmth, the spice, creamy slow-cooked egg, sweet squash, and fried fatty meat that keeps me coming back for more. You can read all of the details in my review of Hapa Ramen.